Saturday was the Fiesta celebration for our amazing adoptive families group! Such a great time each year. 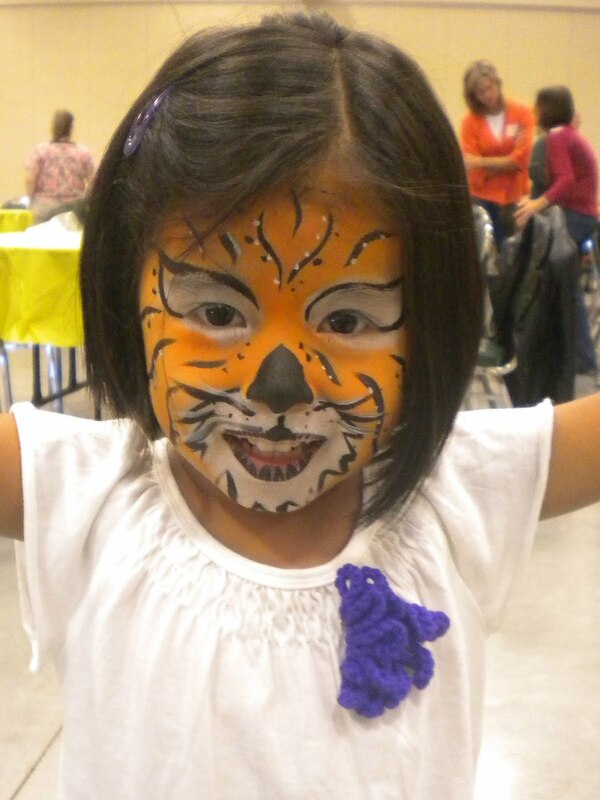 Of course my children now believe that Fiesta means to go crazy with the face painting! Even Olivia got into the (non-glitter, non-gem, no choking hazard) act and was very patient while they painted a pretty little design on her forehead. The other two? Well, they were tigers of course! Fiesta was also the big collection for our school supply drive. You guys were SO amazing with your donations of supplies and money! Thank you so much for making such a big impact on the education of children in Guatemala. The donations I collected from all of you were a major portion of these totals...thank you for caring about my daughter, her birth country, and these children! that face painting is amazing!! wow! i'm so happy you got such great response from your drive...that is awesome for those kids in Guatemala! why am i crying about this post? my goodness! i guess it's because i DO care about your daughter, her birth country and these children! SO proud to have you as a friend to bring me awareness to so many things i hadn't ever thought of. AND for bringing ej into my life!